Burning a CD is skeptical in the current generation because of the availability of on-the-go devices. Nonetheless, there arise different needs for several people to create a collection of their favorite music, which they can use in a CD player. There are other such reasons that prompt an individual to burn a CD. 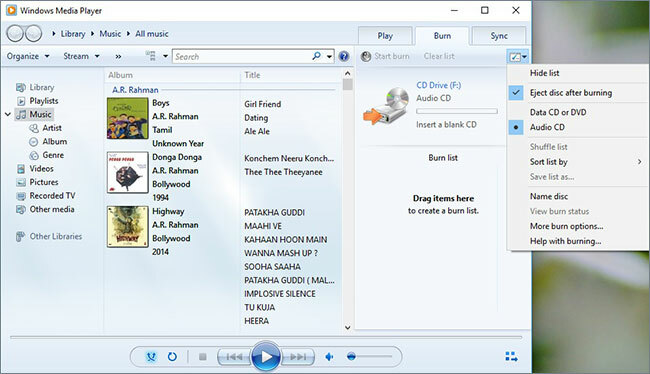 Step 1: With the help of Windows Media Player, you can easily burn a CD with a compilation of your favorite songs or data. You can start the program by clicking the Window's symbol and selecting the media player from the available list of programs. Additionally, you will also need a blank CD and ensure that you have a CD or DVD recorder drive. Step 2: As soon as the media player pops up, you can select the Burn tab and choose the Burn options button, and select data CD/DVD or audio CD. Step 3: If you have one or more CD/DVD recorders, choose the appropriate drive that you wish to use. From the available list of songs within the player library, you can pick the songs that you would like to add to the CD. You can do this by selecting multiple songs and dragging them to the list pane to finish with the burning list. Step 4: Press “Start Burn” button to allow Windows to start the burning process. After completing the process, the recorder tray will eject automatically. 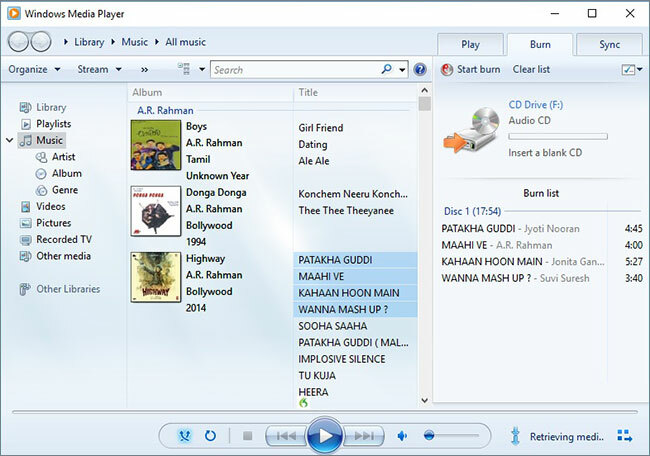 An alternative to Windows media player to burn CDs isiMusic. It is a single solution that will help you with all the necessities that you would be requiring while managing all your collections. 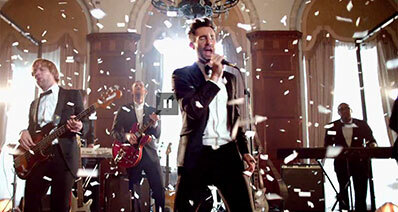 The software is capable of allowing you to download music/videos from over 3000 websites. Not only that, but it also helps in recording, transferring, and fixing the library with ease. Let us look at the main features in detail. Discover - users can quickly search for songs, playlist, or all their favorite musicians with the help of the inbuilt music library. They can even download the songs with ease. Download - the program allows the user to download music and videos from over 3000+ websites that include YouTube, Facebook, Dailymotion, Vimeo and others. 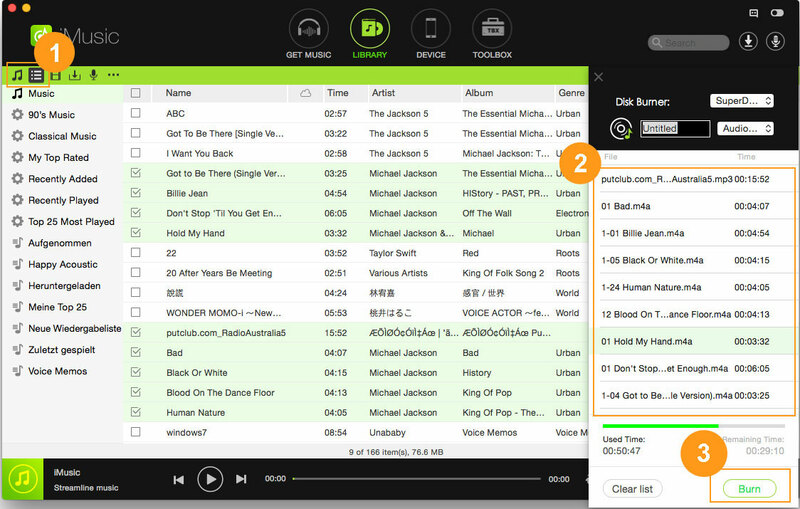 Record - the recording feature is helpful for avid online radio listeners, as it helps in saving the streaming file onto the computer. 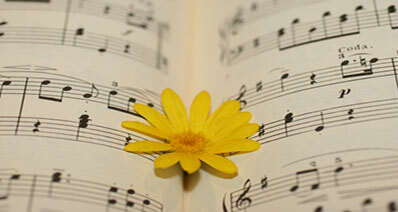 The program further helps in collecting information of the song in the background along with the album. Fix - the option will allow the user to fix the broken links of a song, add album covers, and other aspects that are contributing to the corruption of the library. Rebuild - with the help of this feature, it is possible to reconstruct a library. It is helpful for those who are planning to migrate to a new computer/device. Step 1: Make sure that the computer you are using has a CD/DVD recorder. Get a blank CD and place it in the CD-ROM on your PC or Mac. 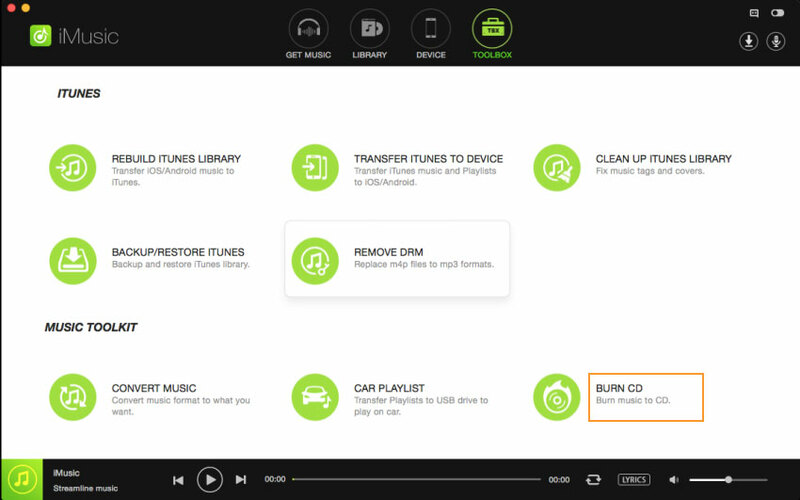 Step 2: To begin the process of burning the CD using iMusic, you will have to install the software. You can download it from the links below. Launching the program will bring the product screen, wherein you will have to click the “Toolbox” feature from the menu bar. In the product window, click “Burn CD” option. 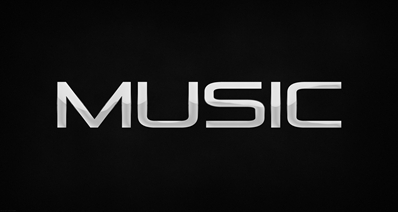 Step 3: Now, click the Library button from the menu bar and choose the music icon symbol. It will display all the songs in the library. You can select the songs that you wish to burn, drag-and-drop in the list pane. You can make the necessary settings like providing a name to the disk. After adding the songs, click the Burn button at the bottom. iMusic will display the progress bar telling you in detail about the process. Q: "I am unable to burn CDs using Windows media player anymore. Why"? A: If the computer is able to read CDs and DVDs and write DVD-R, then it is the hardware issue. If you are unable to write both CD and DVD, then the problem is with registry corruption. It is preferable to carry out device testing before replacing with a new one. Q: I have been trying to burn CD-R using Windows Media Player. However, nothing is happening. A: Even if you are obeying the step-by-step guide, there is still a chance that you are missing out on the burning speed. A few discs have preferred set value for writing. Ensure that you have chosen an appropriate value. Q:Windows media player is unable to burn the CD. However, it was possible before and with other burning programs. A: The main reason could lie in the selection process of the disk. 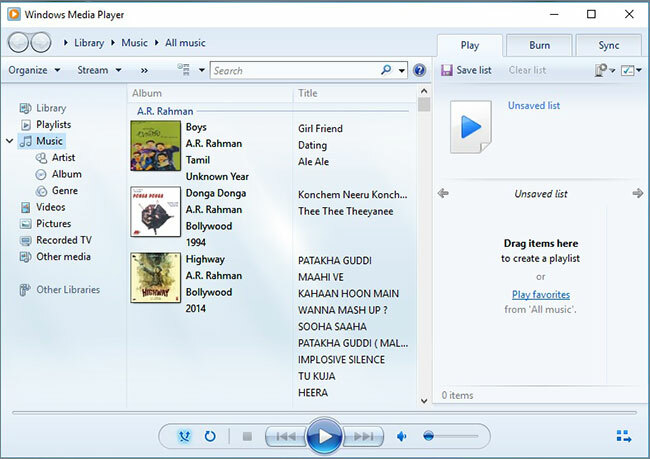 In the options category under the Burn tab, ensure that the selection is Audio CD but not Data CD or DVD. It will make sure that the program will write the selected songs that you can play in any CD player. Q: I receive a pop-up saying Windows media player encountered a problem while burning the file to the disk. Can somebody help? A: Excessive content in the cache could result in corruption of the Registry that makes it impossible for Windows to burn a CD. It is preferable to carry out scheduled disk check and defragmentation to ensure smooth burning procedure. Q:I receive a message that media player cannot burn the disc because the drive is in use. However, there is no CD. A: If you are receiving the error repeatedly, then it is preferable to use a different brand of CD-R. There is a high chance that not all media is compatible with all the brands.